I guess it’s not much when you look at real problems in the world like Major League umpires not using instant replay. You’ve probably seen optical illusions where parallel lines appear to bend or converge. What I want to know is, is it possible to make converging lines appear parallel? Because that’s what we have in the upper part of our bedroom closet. The ceiling slopes down from right to left. Hint: the middle crossbeam is level. 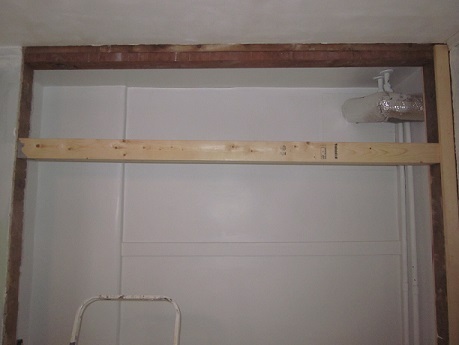 They help de-emphasize the ceiling slope. 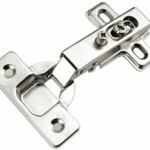 They use European hinges, the “inside the cabinet” sort you find on most kitchen cabinet doors (and furniture at Ikea). They are inset (front of the door flush with the frame, rather than overlapping) to match the bi-fold door install. Originally, we assumed we’d use paneled cabinet doors to match the bifolds. But paneling means that there are horizontal and vertical lines on the doors. More horizontals lines near the ceiling would do nothing for the de-emphasizing goal. In the end, we decided that totally plain, flat doors would be the best way to go. Since we are painting everything to match, that meant we could focus on MDF doors. 1. Have the doors made with the top edge sloping. This would have the least input from us. However, there was a good chance the doors wouldn’t fit well, due to confusion caused by the game of Measurement Telephone we would have to play with the manufacturer. 2. Have the doors made with square corners, with each door’s height determined by the smallest part of its opening. This would leave a visible triangular gap above each door and would probably emphasize the sloping ceiling. 3. Have the doors made taller than the opening and cut the top edge ourselves. This was the idea we almost went with. But we didn’t have any experience cutting MDF, and we weren’t keen to start practicing on custom-made doors. 4. Make the doors ourselves with the top edges following the top slope. This way we could make the doors fit exactly into the opening. Also, if we messed up a piece of MDF, it would be a less expensive mistake than messing up a custom door. 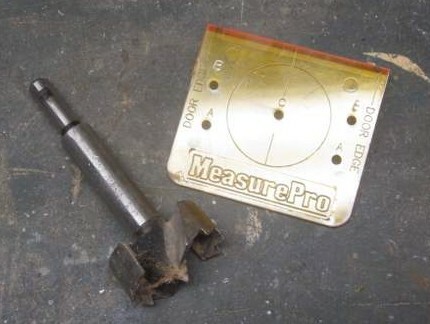 But we lacked experience either cutting MDF or fitting European hinges. Ultimately we chose the last option. Before we went too far, some investigating was going to happen. First, we researched how difficult MDF is to work with. We had some pieces of ½” MDF lying around from when Stacey fixed up a dresser. We didn’t have a saw blade with enough teeth for the job, so we got one for the Skil saw. I would have used the table saw, but it would have meant doing it freehand, because our set-up is too small to use the fence on a project like this. I found that MDF is actually very easy to cut with the buzz saw. I was thinking it would be similar to the cheap particle board, and it wouldn’t be possible to get a nice edge. I was wrong. The cuts are very clean. We got these from Menards for $13.50. So the answer is: yes! 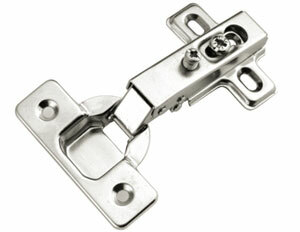 It is very possible to make your own doors using European hinges. And that’s what we did — I’ll tell you how next time. This entry was posted in Construction, Windows & Doors and tagged bedroom remodel, design, home improvement, making mdf cabinet doors, MDF cabinet doors, woodworking. Bookmark the permalink.